Do Gas-Saving Products Really Work? How to Prepare and Maintain Your Car in Desert Environment? Apple is the leading market player in the mobile app industry, accounting to 51% of the smartphone market share in the final quarter of the year 2018. With the tremendous sale of iPhone new models, IOS has been the game changer flipping through various levels of popularity and rising demand. Choosing Apple app development, why? Apple’s App Store has more than 2.2 million apps at present with average 2440 apps being added daily. Average app price in the Apple App Store starts from $0.50 and going as high as $1000. 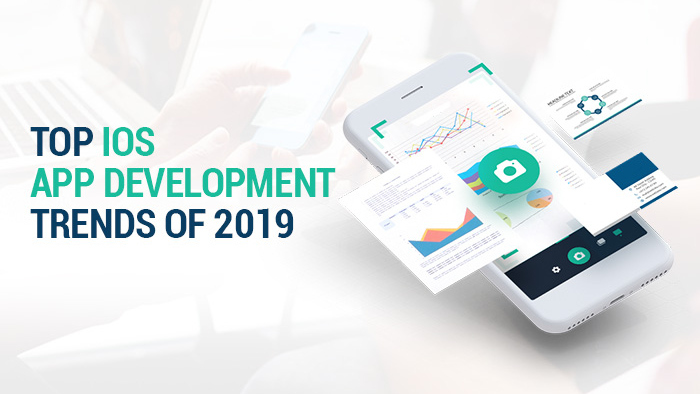 What’s trending in the latest IOS App Development? ARKit 2 is the most trending feature of iOS 12, improving the entire AR app market with multiple access features where a single AR object or environment can be accessed by multiple users at a similar time. Having a multiplayer can let you enjoy all sorts of shared experiences with devices that can either be local or in the cloud. Though the technology isn’t limited to gaming but can be used for a variety of world experiences, for instance viewing digital art projects, education programs, and innovations, retail advertising, etc. More than 50% of Apple users are already using iOS 12 which breaks down to the fact that launching an AR app will pave you better benefits in the current era. The new technology can work on simultaneously on two or more device anywhere in the world. Introducing a real-time feature to measure the virtual world object’s size, iOS 12 can be useful enough. Thanks to the experienced iPhone app developers, iOS is considered the most secured platform with strong reasons backing up the entire trail. The major reason behind the security is the regular system updates which prevent the device and apps from cyber-attacks. The security benefits aren’t just limited to this, Apple has full control over how their devices and ios work together while Android has many devices to consider while deciding on the changes to be implemented, thus increasing the chances of further errors. Apple recently made ATS (App Transport Security) mandate for every newly published iOS app. Each iOS app either in iPad or iPhone are allowed only to access files and make changes in a virtual sandbox, each app having its own sandbox. The inbuild security features in the applications are regularly updated with new security options. Siri was the most popular invention during the days when AI-powered technologies were ranging high! While, today Siri is not just NLP (Natural Language Processing) technique but, an upcoming fully updated machine learning and deeper AI integrated technology. Siri will be able to access iOS apps and WatchOS apps with speech recognition. All associated services can be used in new ways like hands-free usage and app access from the lock screen. Siri also suggests shortcuts to frequent activities making it the most cherished experience in the latest technologies. Anyone would love a smart home working the daily chores and getting a bit comfier with a single command. With the already featured technologies letting you control the home lights and sensing the human presence, Apple is up with another invention of Apple Home Kit! Users can store all the devices information in a single file that can e accessed from any device via cloud storage making home automation features remotely accessible. Apple watch is quite a sensation since its launch, it made mobile apps go beyond the smartphone screens. As Apple has sold more than 3.5 million smartwatches in 2018, you would surely have a business elevation on designing an app for apple watch. It brings customized controls providing notifications in a more interactive medium without having to open the mobile application. The app could have Siri recommended shortcuts for better usability with the audio apps having the ability to run in the background. Bring on the advantages of having an iOS app, choose the best iOS app development company and get started with your brilliant business idea!